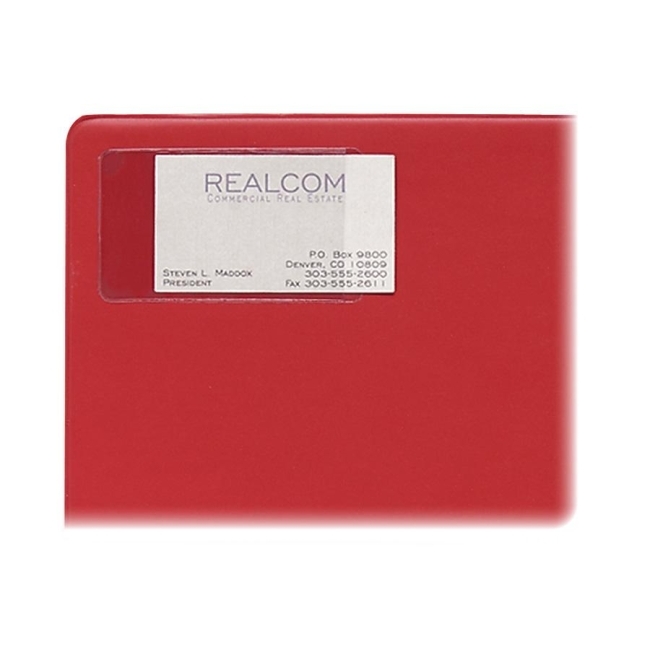 Remove backing and attach this handy business card holder to proposals, presentation, binders, notebooks, reports or almost anywhere. Self-adhesive design requires no staples or paper clips. Side-loading card holder is designed to hold most standard-size business cards.